Remember those less-than-fun and often scary games of dodgeball in the school yard? There was always some bully who threw the ball so hard that it hurts–and the bully seems to enjoy it. Actress Julianne Moore and illustrator LeUyen Pham team back up to bring you a second Freckleface Strawberry book, Freckleface Strawberry and the Dodgeball Bully. This funny and entertaining story brings Freckleface Strawberry close up with Windy Pants Patrick, the dodgeball bully. Since Freckleface Strawberry doesn’t like dodgeball, she comes up for a plan one rainy morning when the kids can’t go out to play. She’s going to stay in the back and practice being a monster. But when Windy Pants Patrick yells, “Who’s the last kid?” Freckleface Strawberry knows she is doomed because she’s the last kid. Then something surprising happens and Freckleface Strawberry learns that dodgeball and Windy Pants Patrick really aren’t that scary. 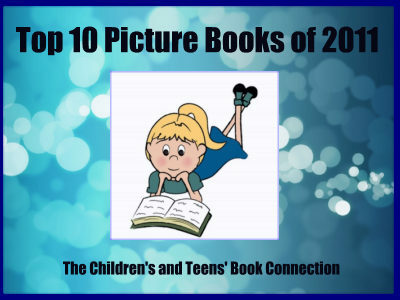 In a very subtle and fun way, this book teaches children about acceptance and exploring new experiences. Freckleface Strawberry is the typical young girl who loves her family, has a wonderful imagination, and like many of us has decided that she doesn’t like something (in this case dodgeball) without even trying it. My daughters, ages 5 and 7, loved this book. My oldest daughter even selected it for her weekly reading material for school. The illustrations are just as creative and delightful as the story. The monster was a huge hit in our house. Young readers will ask to read Freckleface Strawberry and the Dodgeball Bully over and over again. 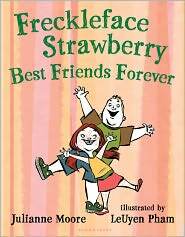 I know I’ll be on the lookout for more Freckleface Strawberry books as they become available.